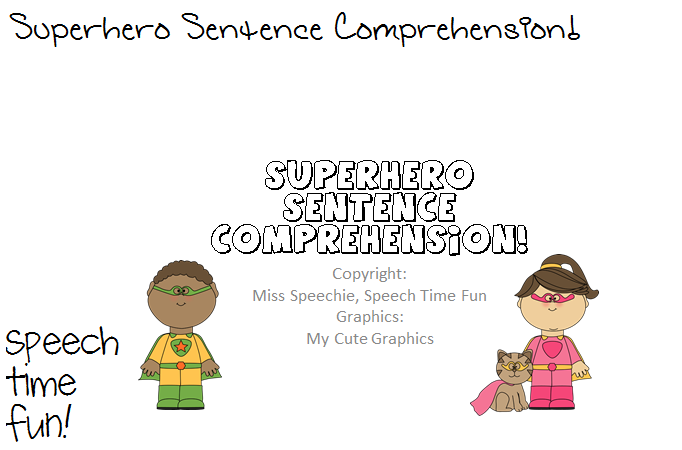 Speechie Freebies: Superhero Sentence Comprehension! 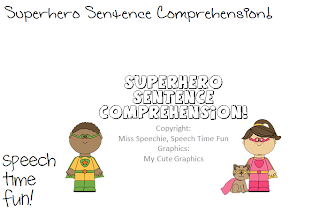 Are you working on auditory comprehension? Are you struggling to find activities that address this goal at the sentence level? Well, I have a freebie just for you! Just click HERE to jump over to my blog to learn more, see images, and to grab this fun activity! Thank you so much. This is exactly what I needed for my students. Great activity!! !